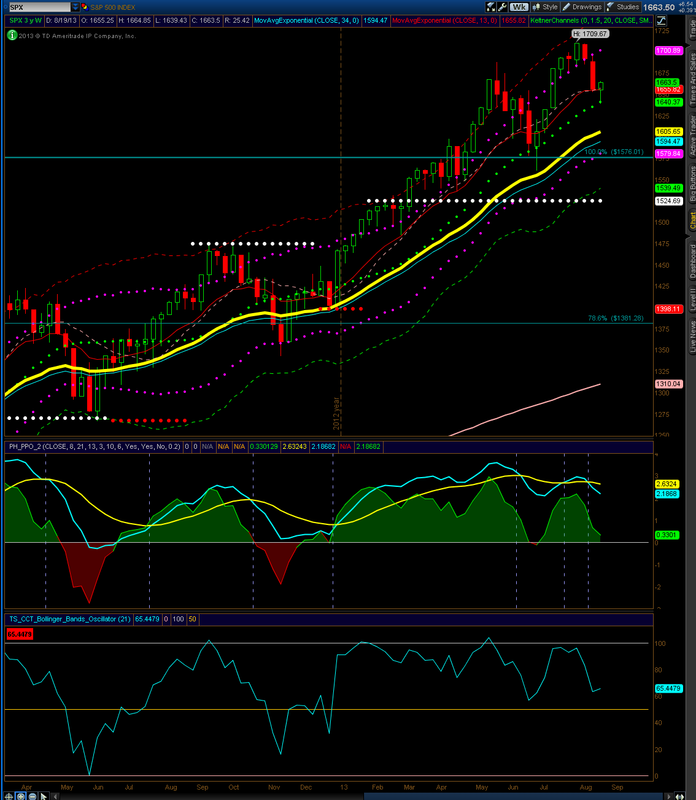 The S&P 500 weekly is showing a close below the middle Keltner line, while oscillators are showing a possible sell. In the event of a further sell off, 1607 – 1587 may be retested. 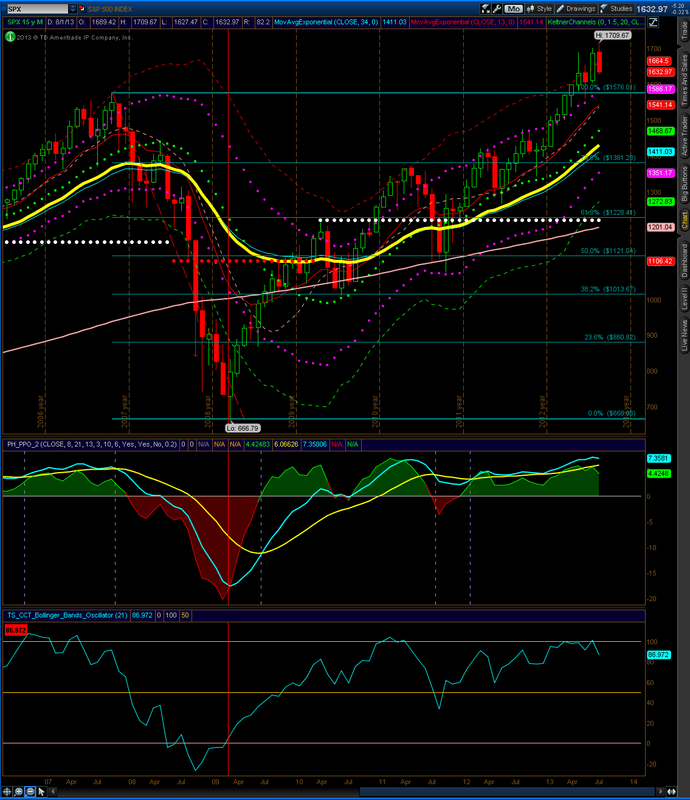 While a rally above 1642 could retest 1702. My weekly outlook is neutral to bearish. The S&P 500 monthly is showing a close inside last month’s range, along with a new all time high that was sold. If the market continues to sell off, I expect 1586 to be retested, while a rally could retest highs near 1709. Until a monthly close below 1576 occurs, the outlook remains bullish. 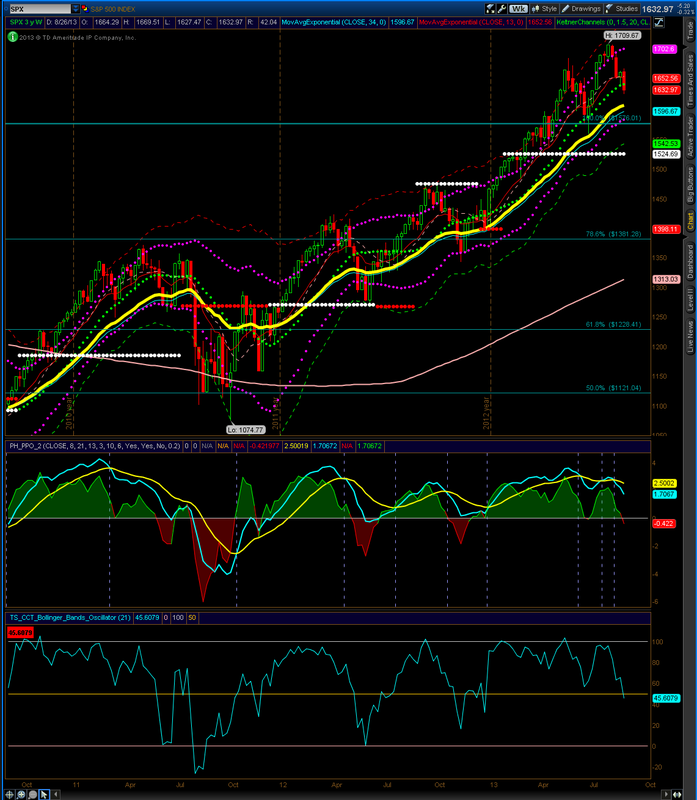 The S&P 500 is showing possible support at 1640 near the middle keltner line. 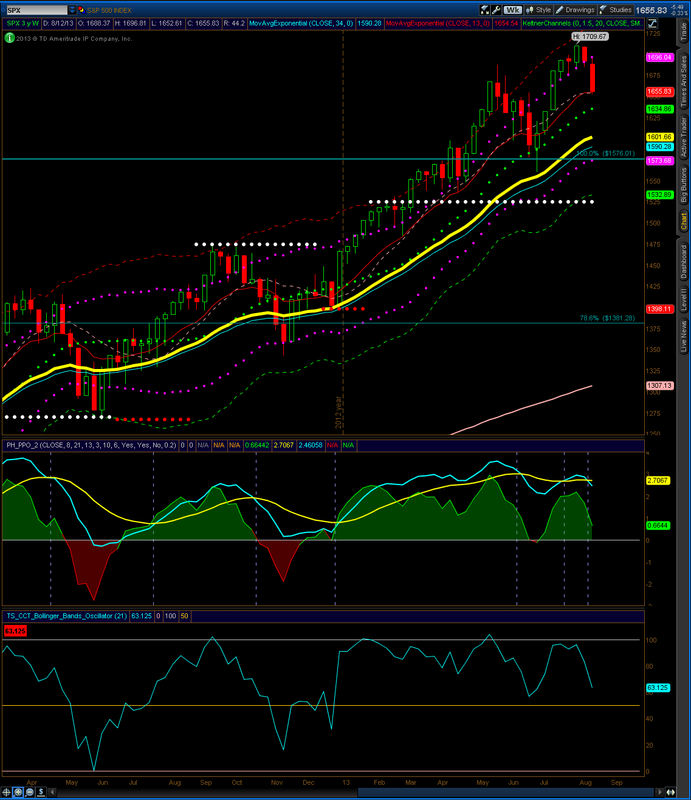 On a continued rally, I expect 1700 to be rested, while a sell off could retest 1640 or lower. My weekly outlook remains neutral to bullish. The S&P 500 weekly is showing another consecutive week down outside of last week’s range. The close retested levels close to two week OR pivot. Further weakness may result in a test near 1634 or lower, while a rally could retest 1696. My outlook is neutral to bullish. The S&P 500 weekly is showing a close inside last week’s range. Support is still holding near 1684. On a sell off, I expect 1654 to be tested. 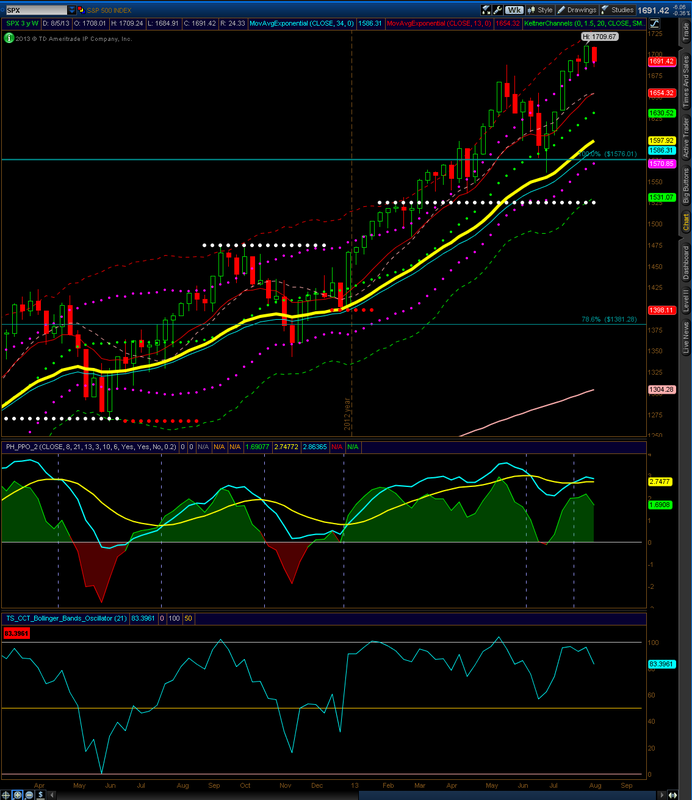 While a rally should retest highs near 1709. The weekly outlook remains bullish.